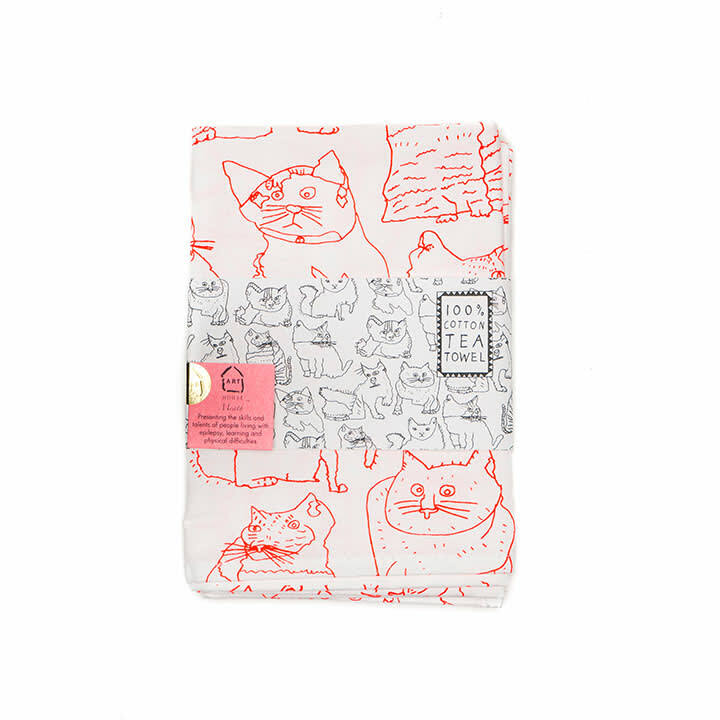 100% cotton tea towel featuring an illustrated cat design. Image by Amy Fenton for Arthouse Unlimited. ARTHOUSE Unlimited in Godalming, United Kingdom.